Protect the carpeting in your Outlander Sport from rain, snow and mud with these stylish and easy-to-clean rubber floor mats. 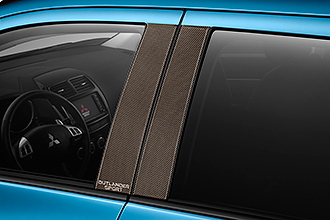 Add the perfect finishing touch to your Outlander Sport's already striking exterior. 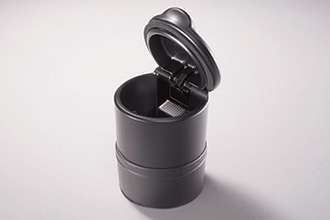 Convert the standard console cup holder into a convenient ash tray. 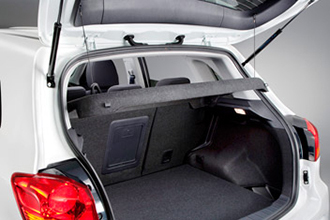 Save your Outlander Sport's interior for friends and gear by securely attaching your bike into this handy attachment. Requires Roof Rack Crossbars. 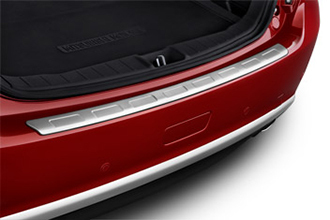 Accent your doors with distinctive trim that shows off your attention to detail. 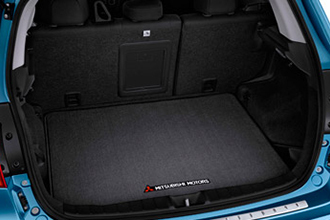 Keep your trunk clean and protected with this durable and reversible cargo mat. Envelope-style cargo nets give you a convenient way to keep shopping bags and similar items upright and contained. 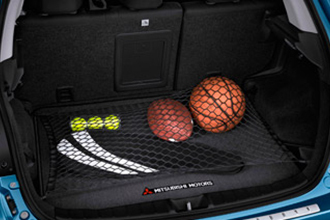 Secure small, rolling items in the cargo area with this handy net. 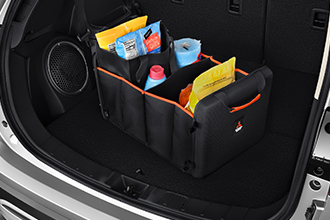 This covers your cargo area to keep valuable items out of view from passers by. 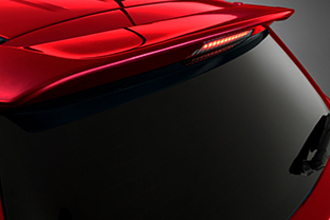 Add a distinctive chrome accent to all four doors of your Outlander Sport. 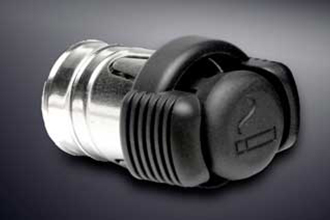 Available in standard and FAST-Key options. For those who enjoy life's little conveniences. 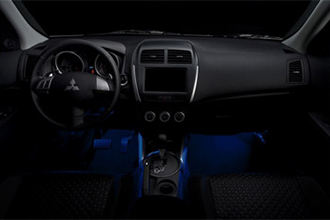 Add a cool and functional touch to your vehicle's interior with subtle blue LED lighting. 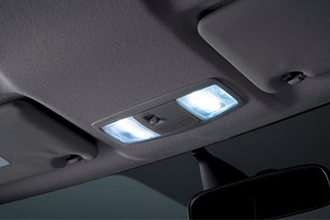 Brighten your vehicle's interior and save electricity with this low power, yet brighter LED bulb. (Sold individually). 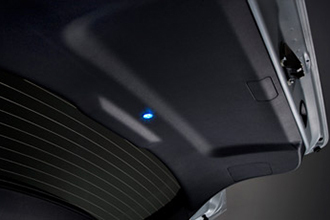 Leave them impressed with a muted blue LED tailgate light that adds extra definition to your Outlander Sport's interior. 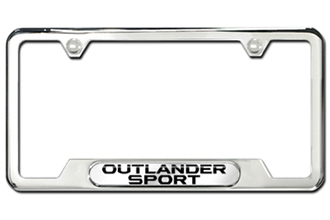 Show your pride of ownership with an Outlander Sport license plate frame. 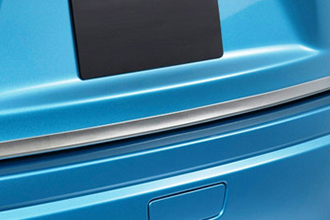 These mudguards help deflect rocks, road tar, and other items that you might encounter on the road. 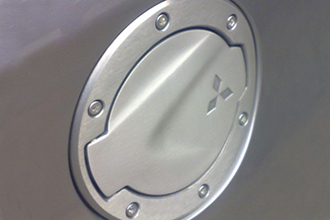 This stainless steel plate not only makes a rugged appearance, it's a practical way to keep your rear bumper from scrapes when you load up. Live where it's too hot or cold for comfort? 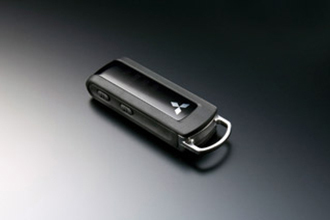 With remote engine start, you can bring your Outlander Sport's interior to the perfect temperature before you get in. 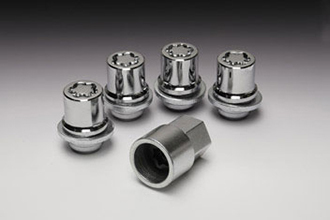 Available for continuously variable transmissions (CVT) vehicles only. 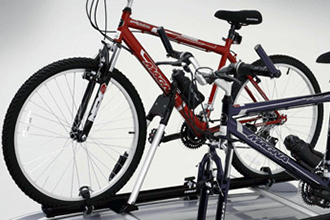 A roof rack kit is the foundation for adding all your sports or storage carriers. 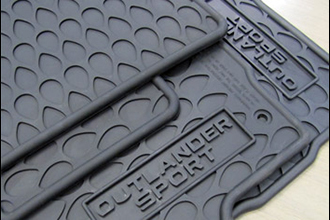 Whatever the conditions, these tough scuff plates keep your Outlander Sport's sill from taking a beating. 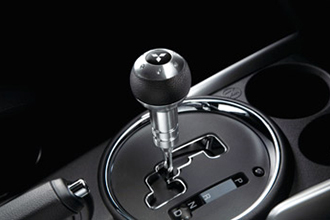 Enhance your Outlander Sport's interior with a shift knob that knows how much you like to drive. Available for CVT transmissions only. 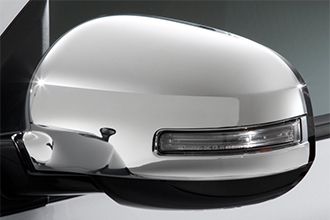 Add some striking detail to your Outlander Sport by replacing the standard, body-colored mirror covers with eye-catching chrome. 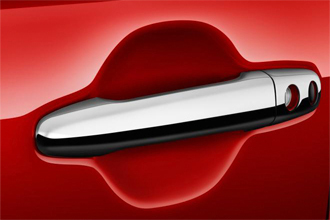 Roll down the windows and take in the fresh air-no matter how fast you're going. 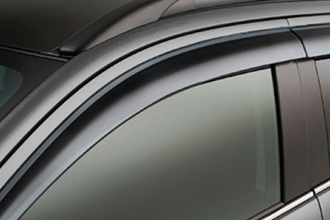 These side window air deflectors reduce the amount of direct airflow and wind turbulence inside the cabin. 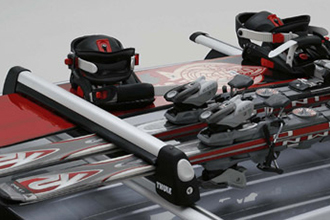 Like to hit the slopes in style? 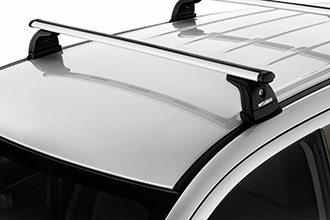 Free up space inside your Outlander Sport by carrying your skis on your roof rack. 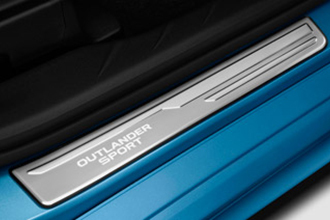 Your Outlander Sport just got sportier with this larger color-matched tailgate spoiler. 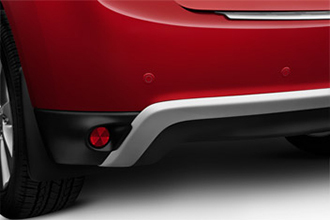 You're not the only one who likes the look of your Outlander Sport's wheels. 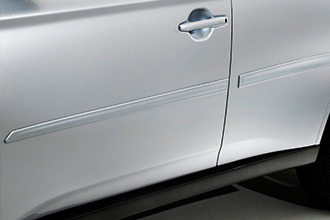 Make sure they stay put whenever and wherever you park your car. 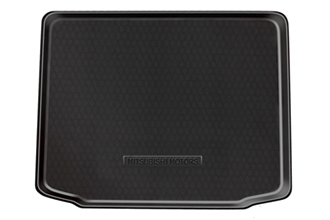 Protect your cargo area from dirt and small spills with this tough tray. Ensure that valuable cargo stays in place with this non-slip mat. Back up with confidence. 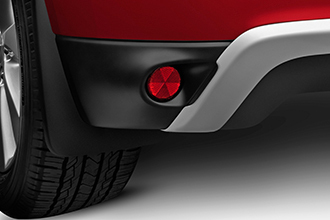 These sensors can detect objects less than four feet away. If they find one while in reverse, the system emits a series of beeps that get faster as you move closer. If you are within a foot, the beeps change to a steady tone.